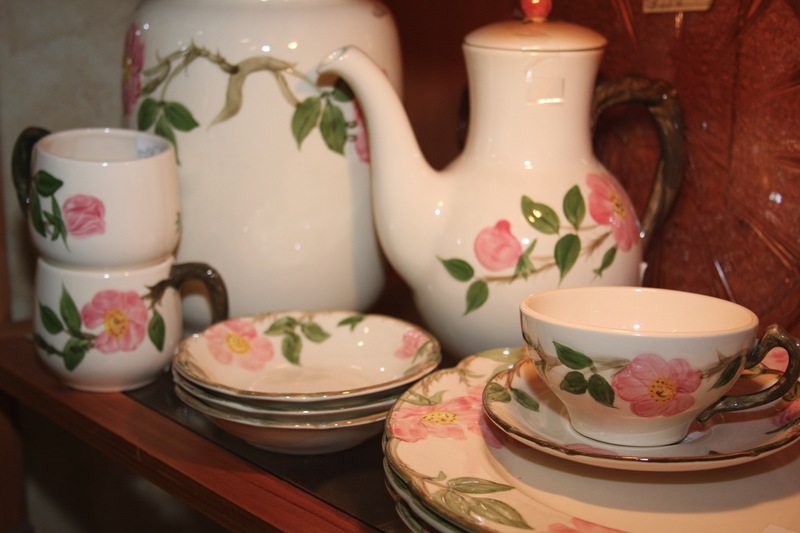 Bauer is only one of many specialties to be found in Linda’s six spaces. 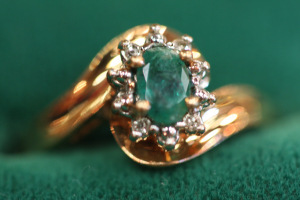 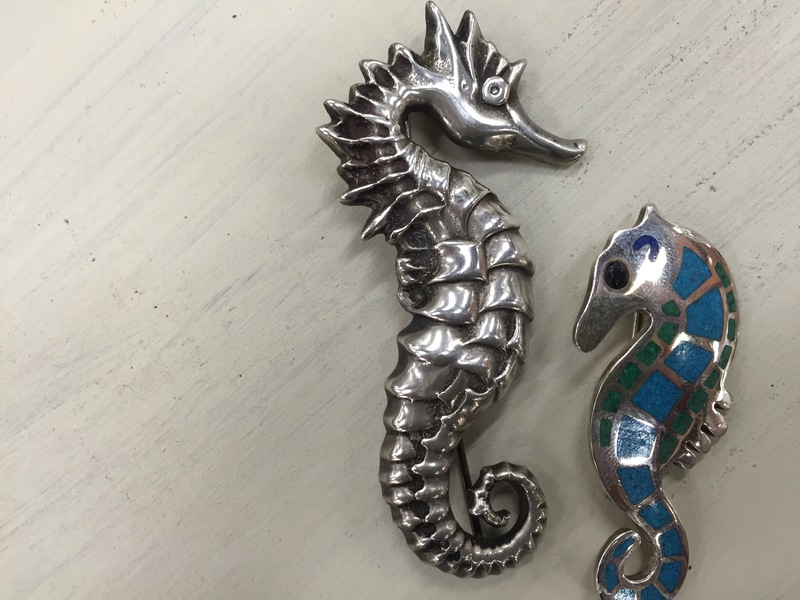 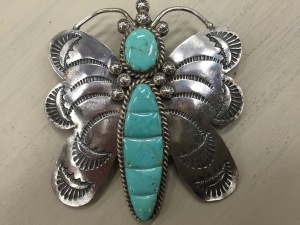 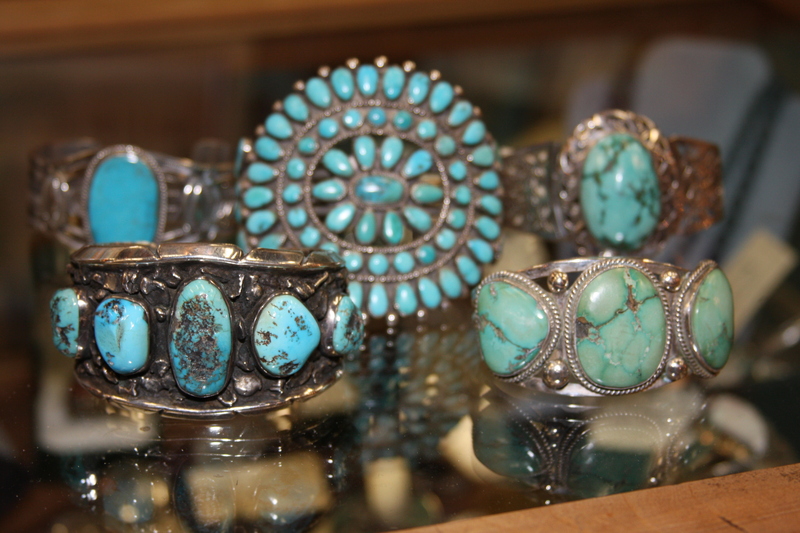 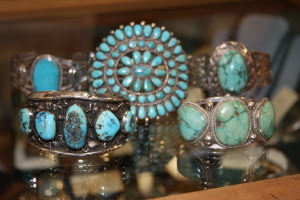 Sterling Silver, Turquoise Jewelry, Fine Rings, Vintage Garden and Books are among the many pieces she seeks out for her clientele. 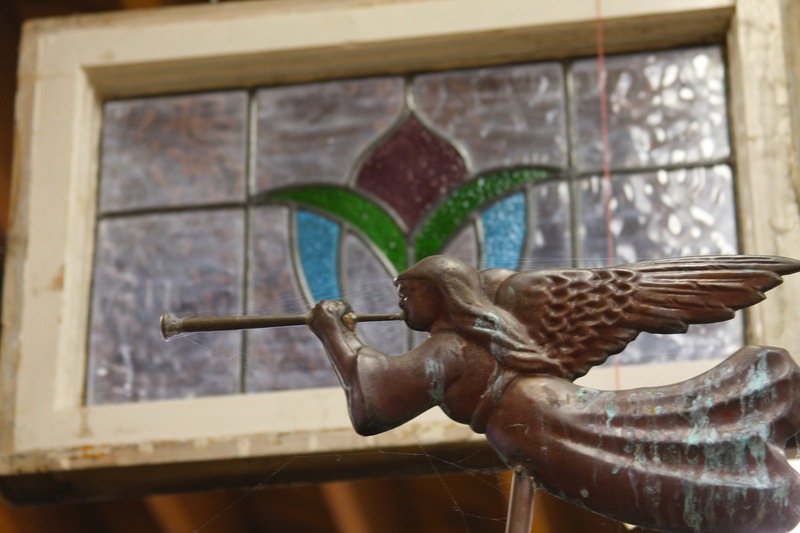 Suspended over her spaces are antique chandeliers and probably one of the best selections of Stained Glass windows being offered in the Mall. 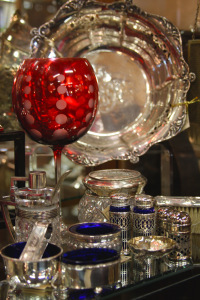 Dealer 509 – Main Floor. 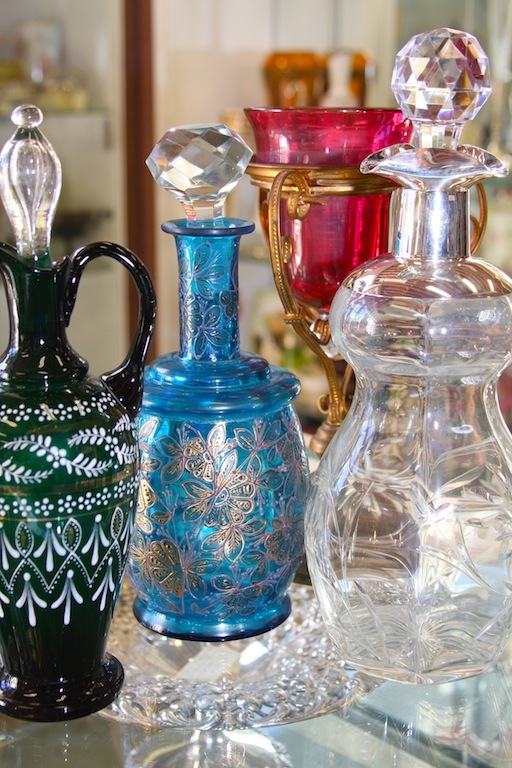 Brothers Alan & David showcase an exquisite display of Sterling Silver Repousse, Art Glass, Venetian Glass Decanters and Jasperware. For the advanced collector. 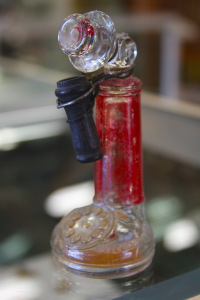 Dealers 599. 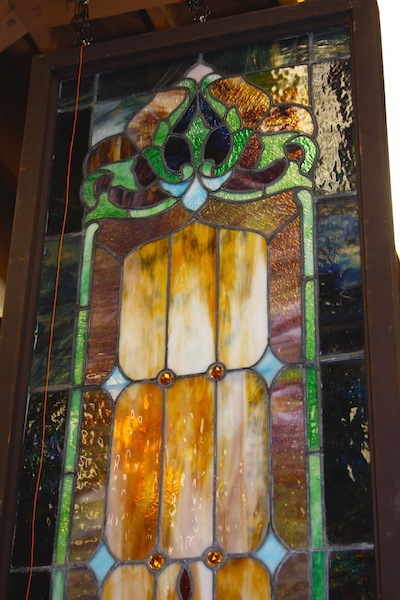 Main Floor & Main Floor Showcases. 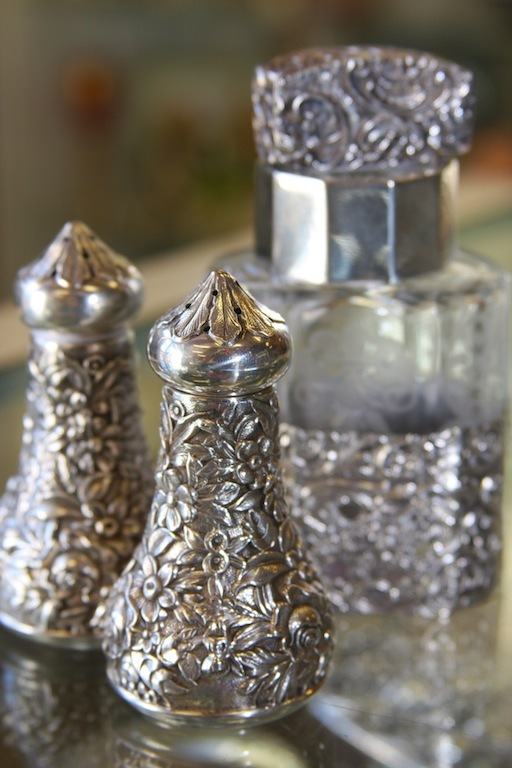 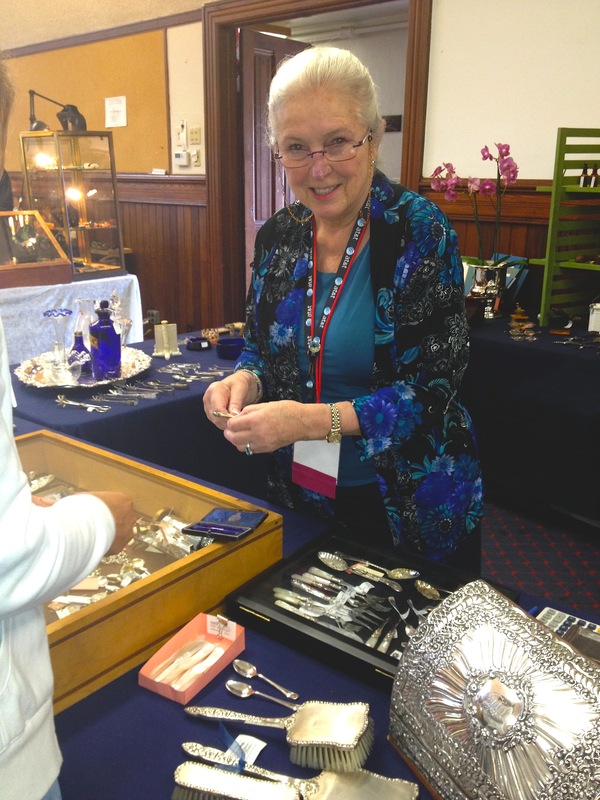 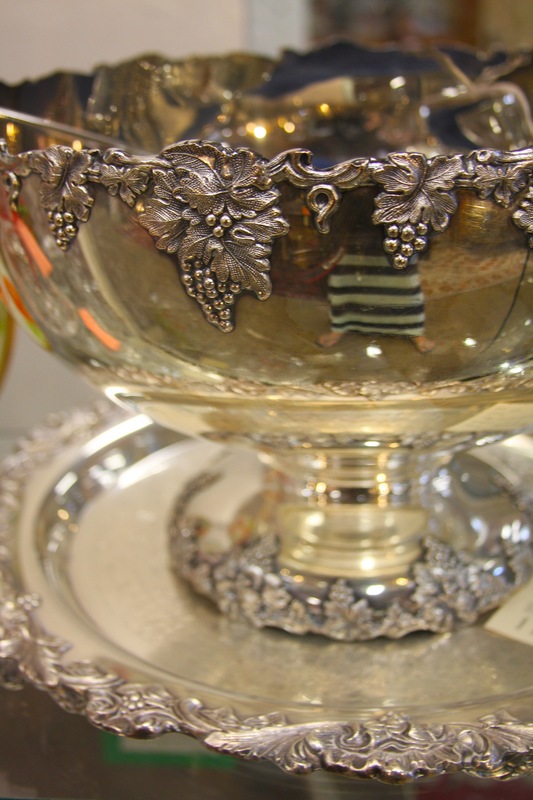 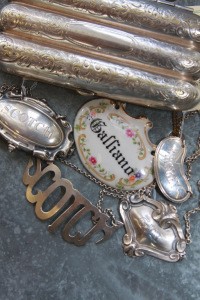 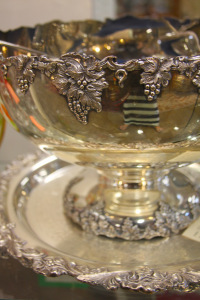 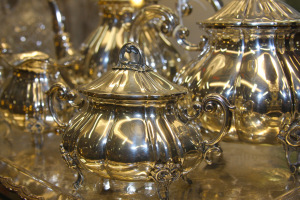 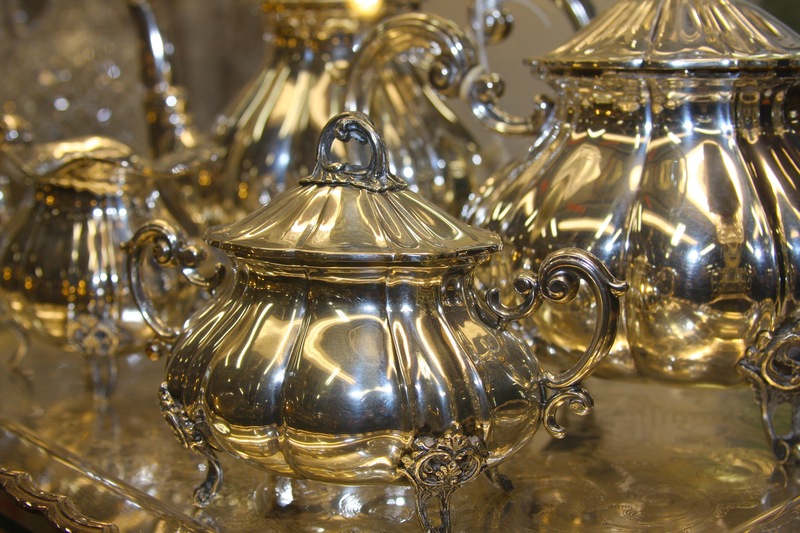 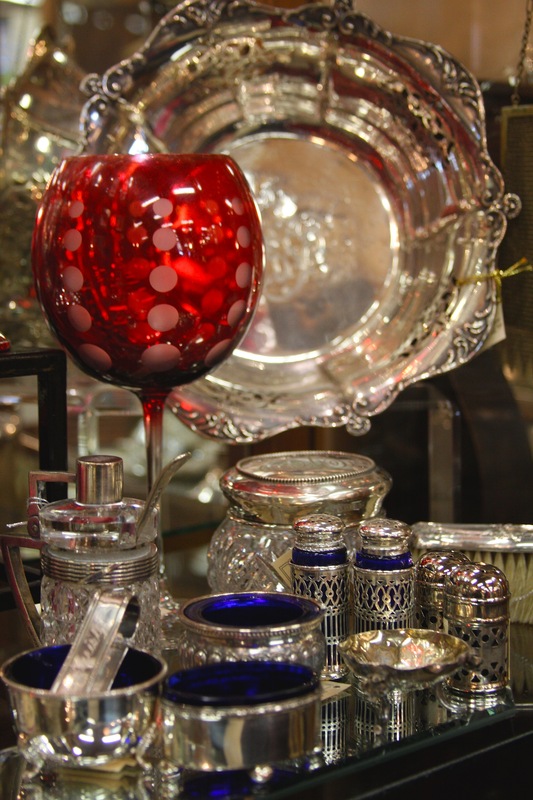 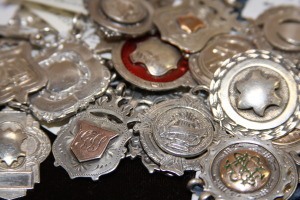 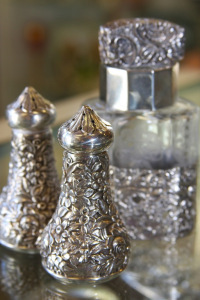 Exquisite silver, sterling medals, silver punchbowls, porcelains and gentlemen’s antiques are a specialty of seasoned antique dealer, Jean. Dealer 105 – Main Floor. 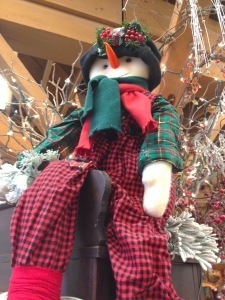 You will know immediately what season we are in when entering the Mall. Straight ahead against the wooden beam, Kathy creates a splash of seasonal decor, celebrating Spring, Summer, Easter, Valentines Day, Fourth of July, Halloween or Christmas. 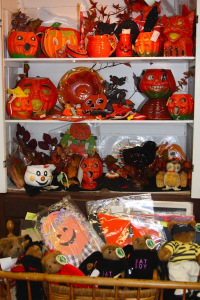 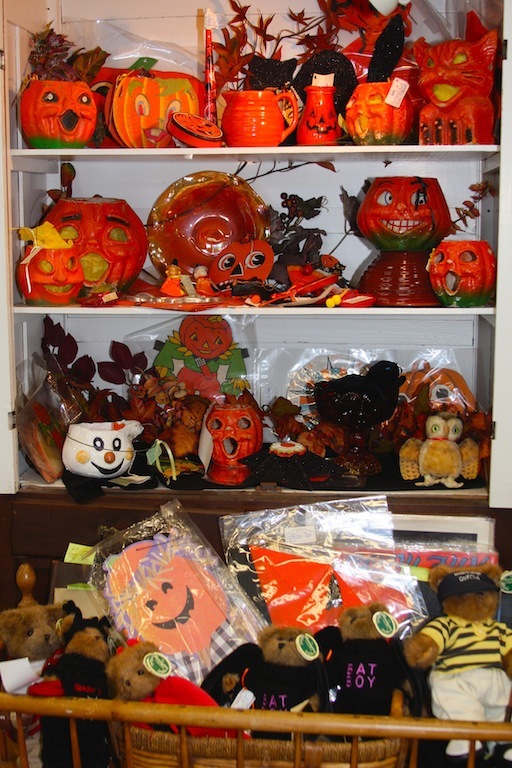 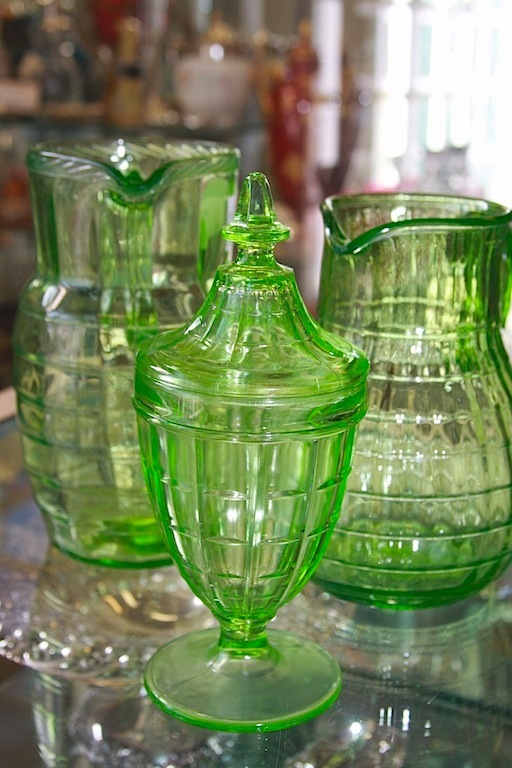 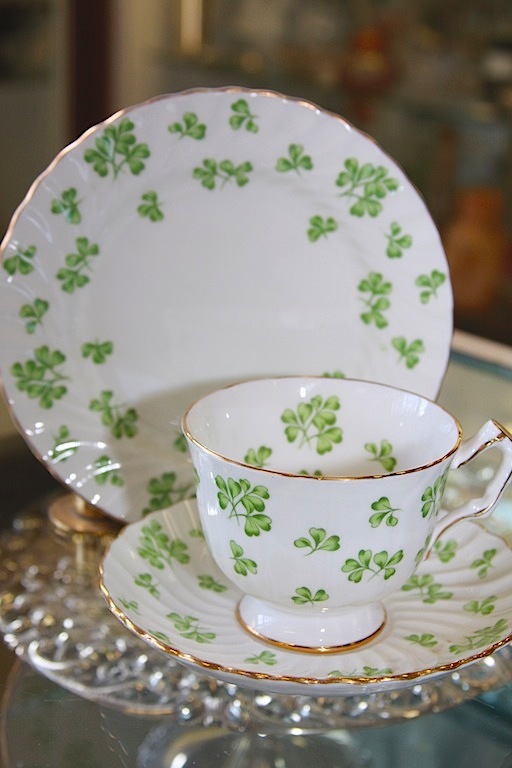 Vintage collections of rare holiday collectibles can be found amidst her specialties of depression glass and pottery such as Desert Rose, Ivy and Apple. Dealer 321 – Main Floor. 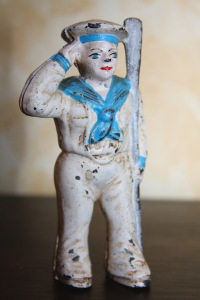 The selection of fine porcelains, pottery, antique clocks, toys and Barbie Dolls are apparent in the spaces of Anne & Pete. 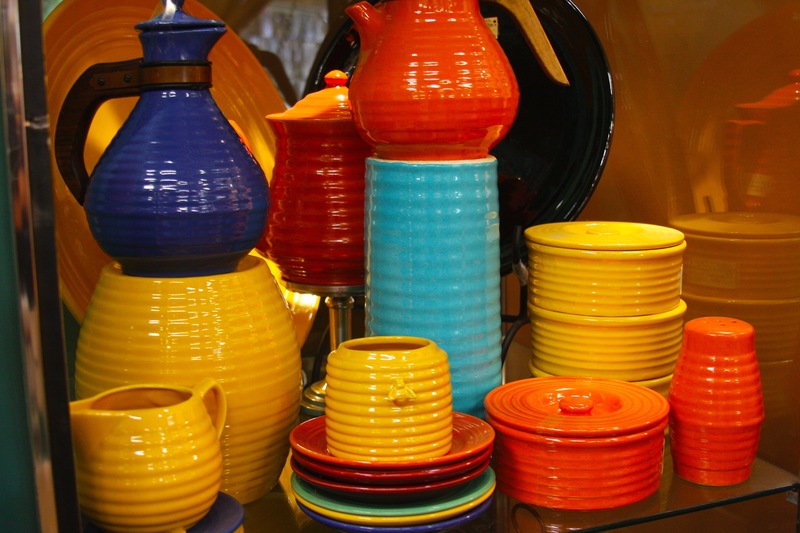 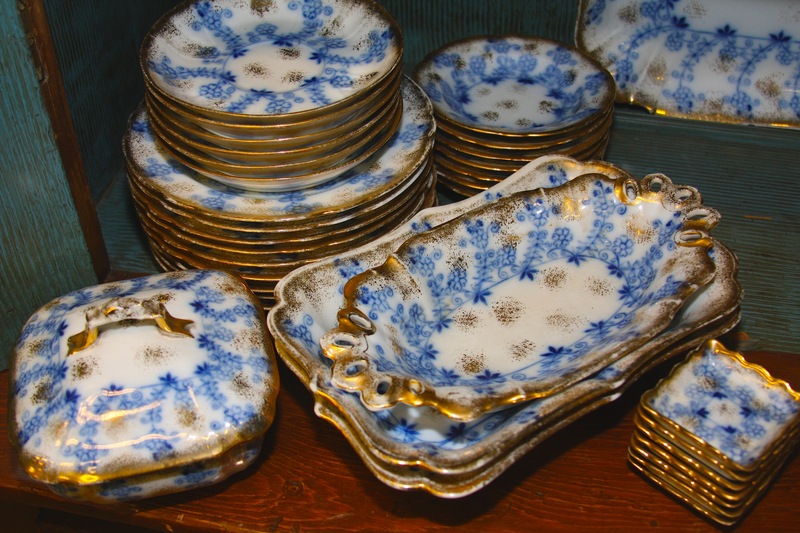 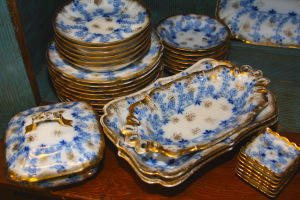 The hard-to-find full set of Leonard dinnerware is offered for sale among rare Roseville. 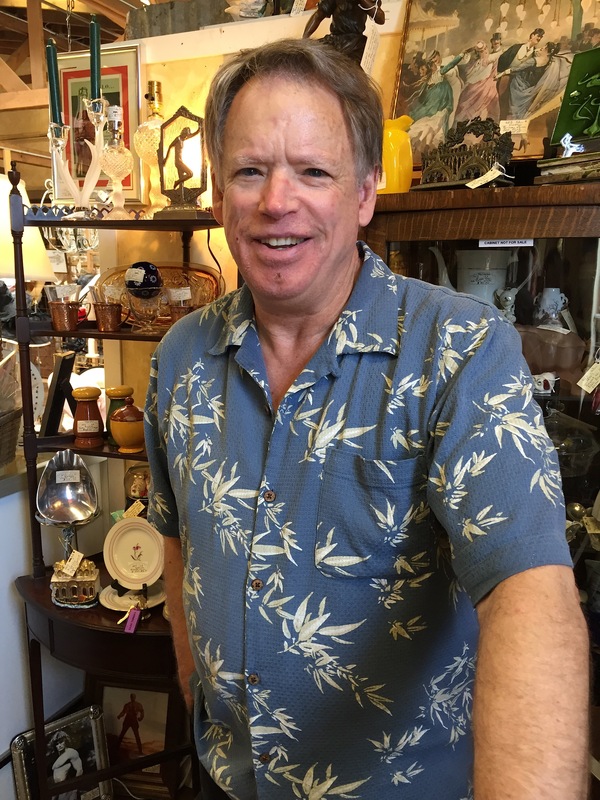 Dealers 605 – Main Floor. 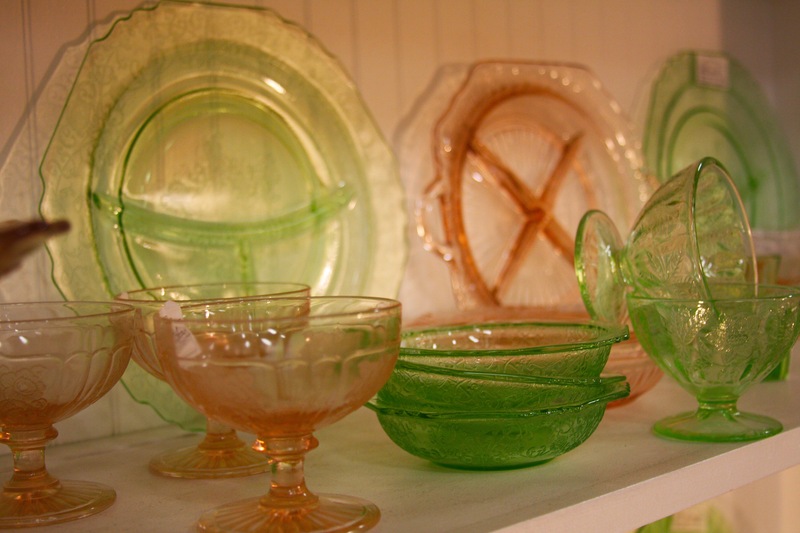 The sea of glass and pottery found in Olivia & Gilbert’s spaces is overwhelming. 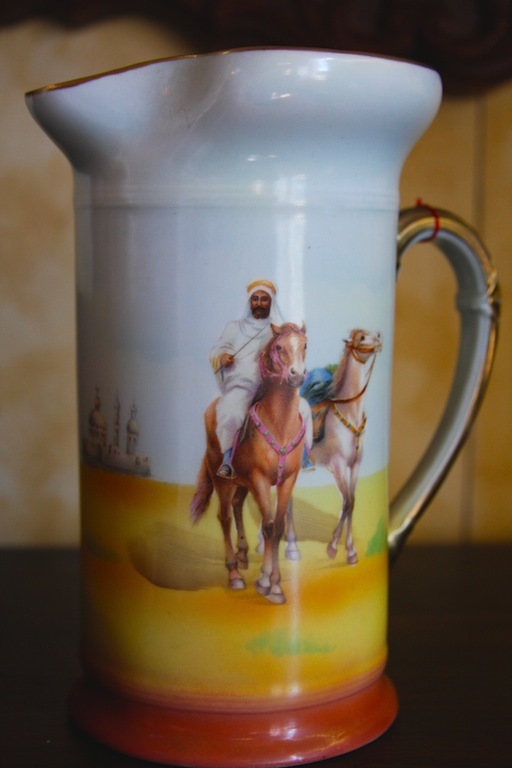 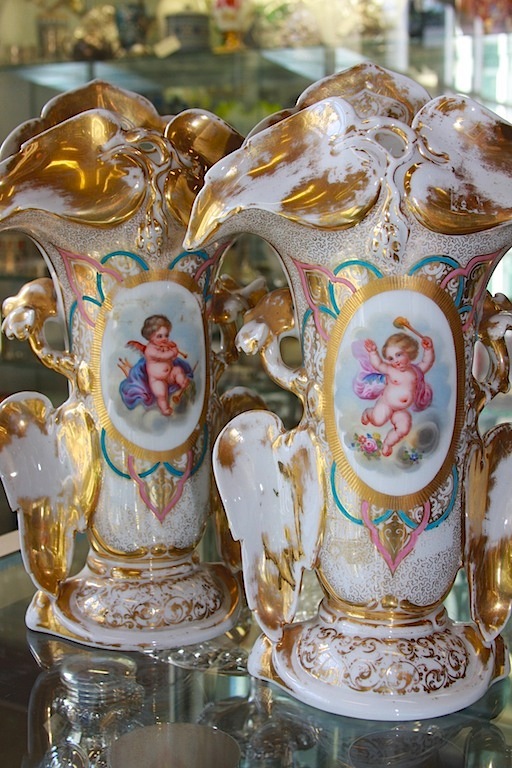 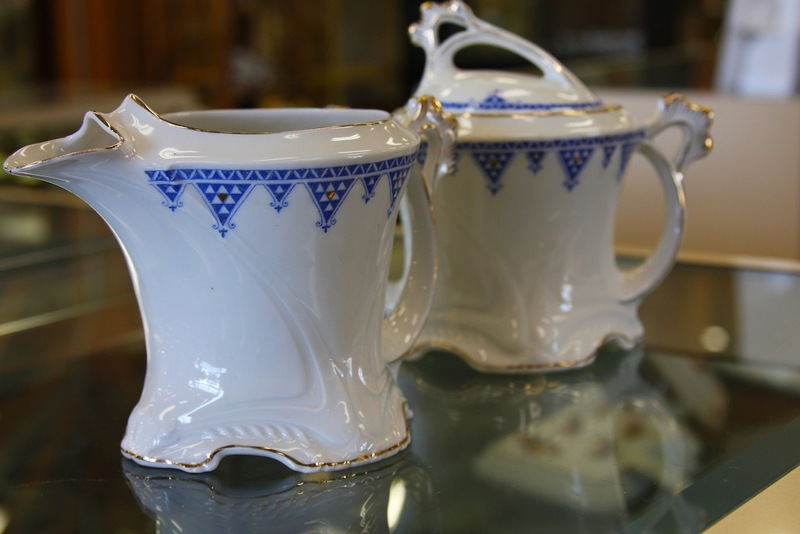 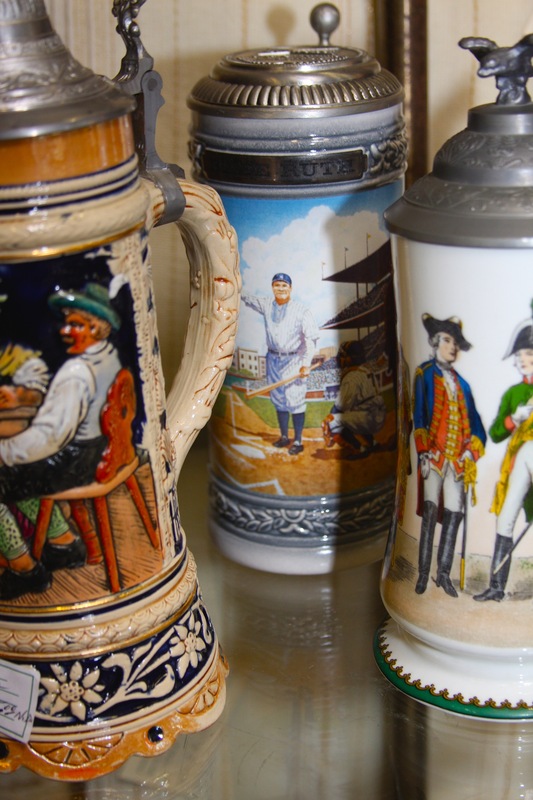 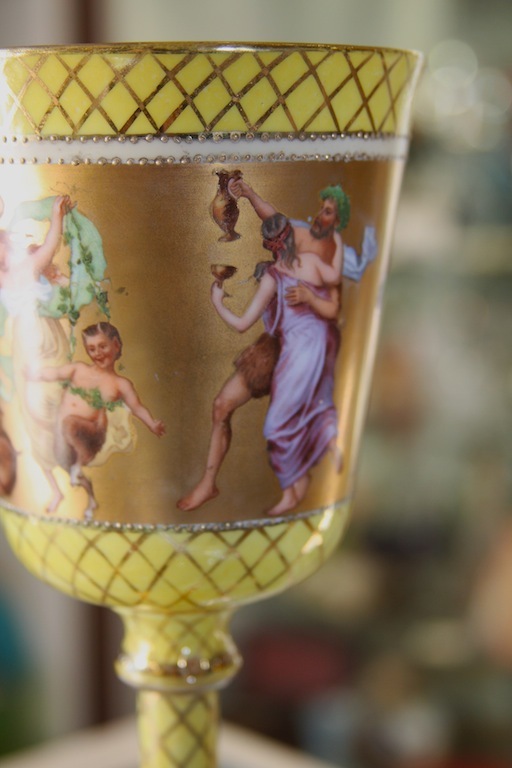 Huge varieties of steins, Noritake, Fenton and tableware can satisfy any collector shopping among their collections. 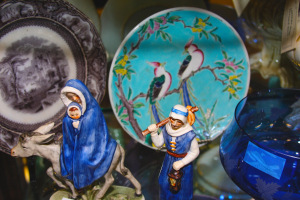 Dealers 323 – Upstairs Showcases. 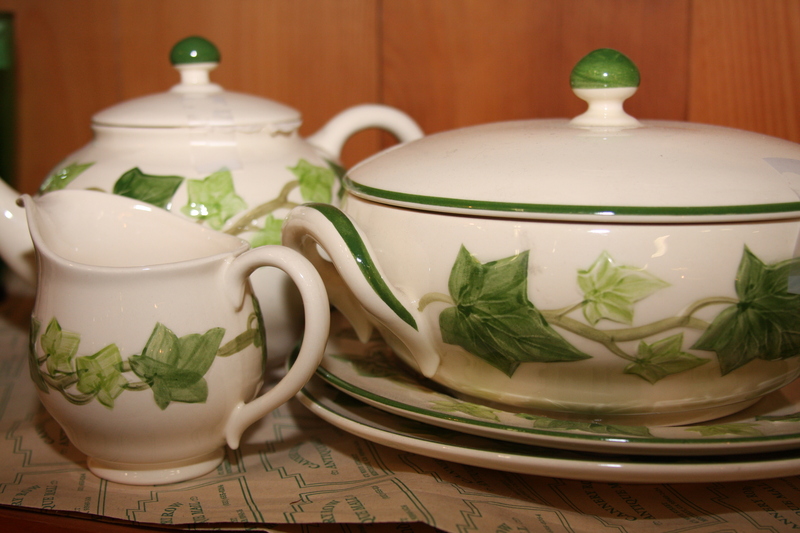 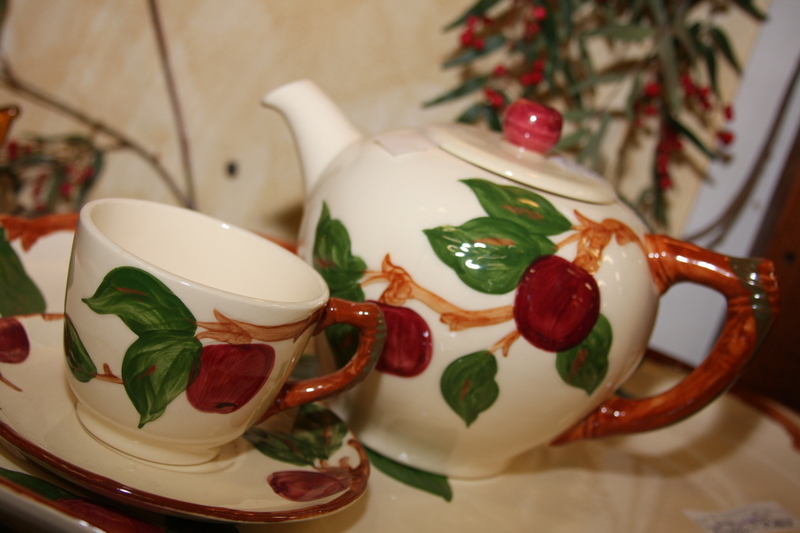 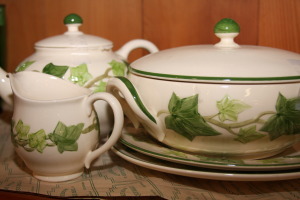 Elaborate hand-painted porcelain urns are offered in Fred’s case, along with green Depression Glass pitchers and a charming cup/saucer/plate in the Shamrock pattern. 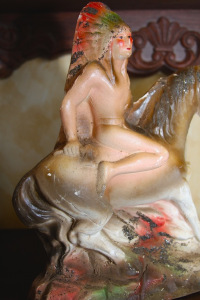 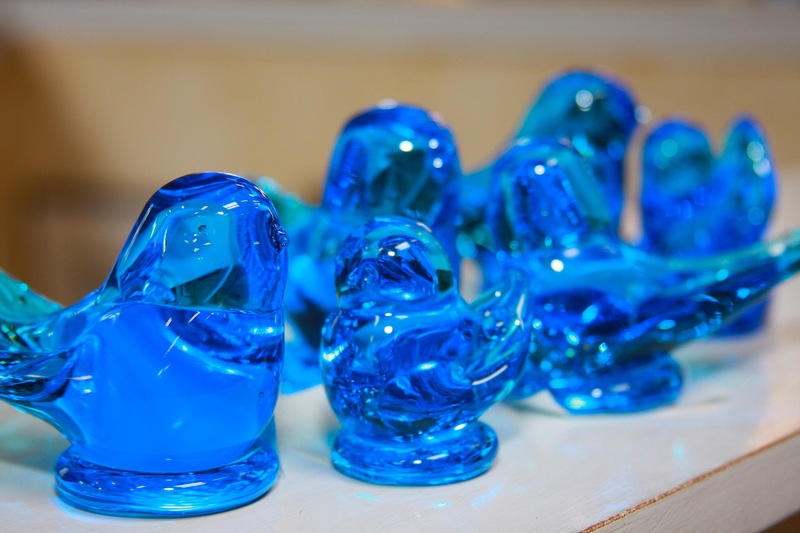 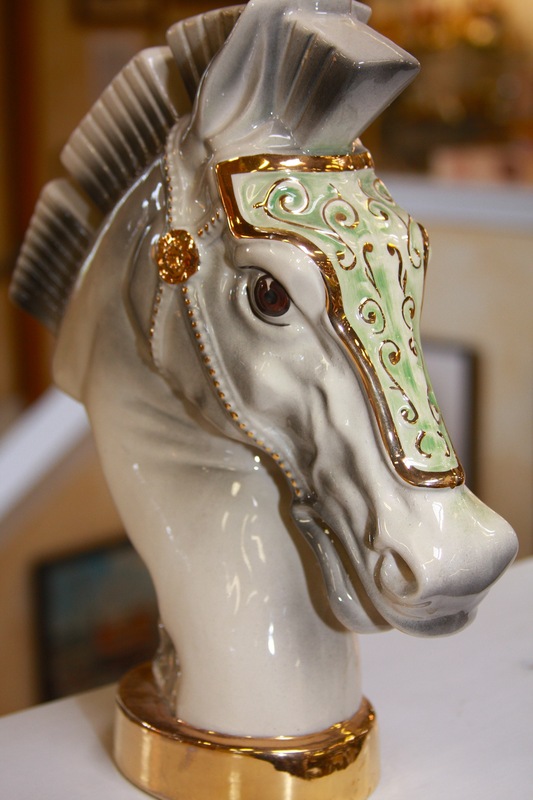 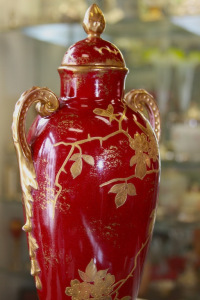 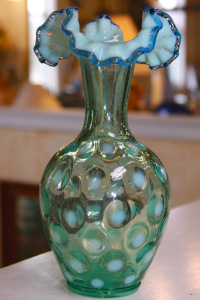 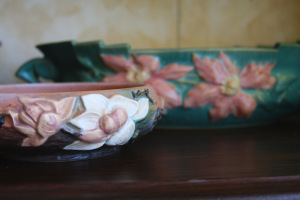 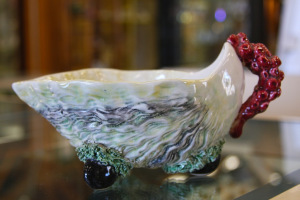 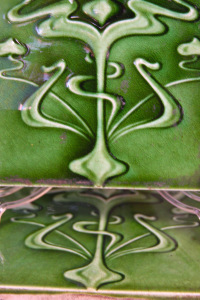 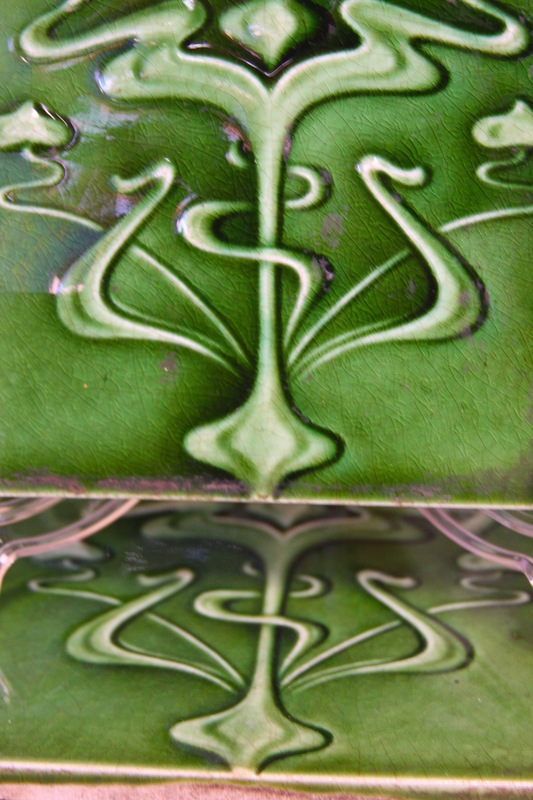 Specializing in fine porcelain, glass and art. Dealer 603 – Upstairs. 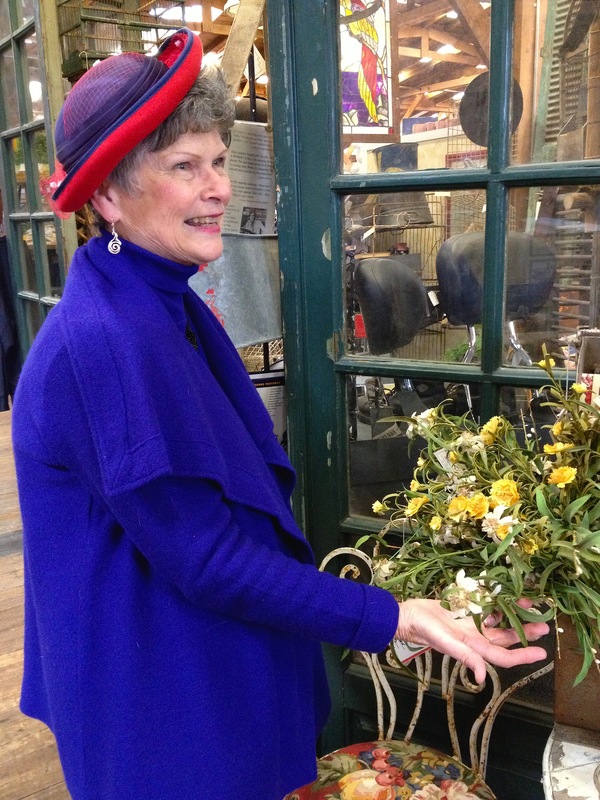 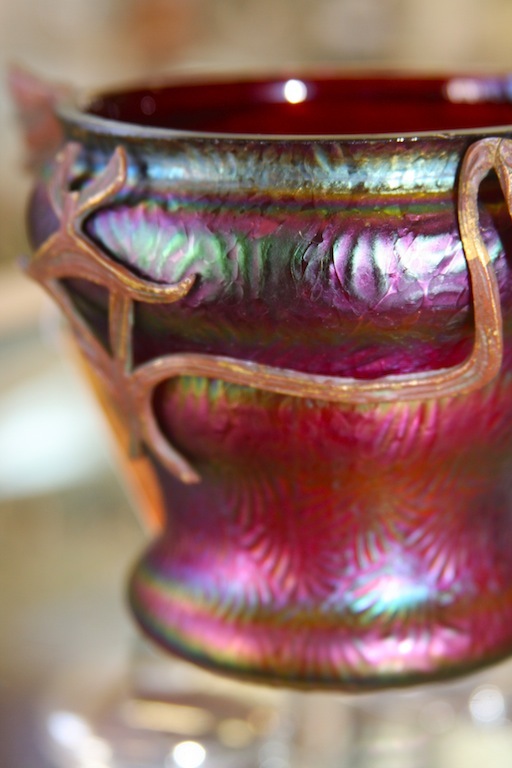 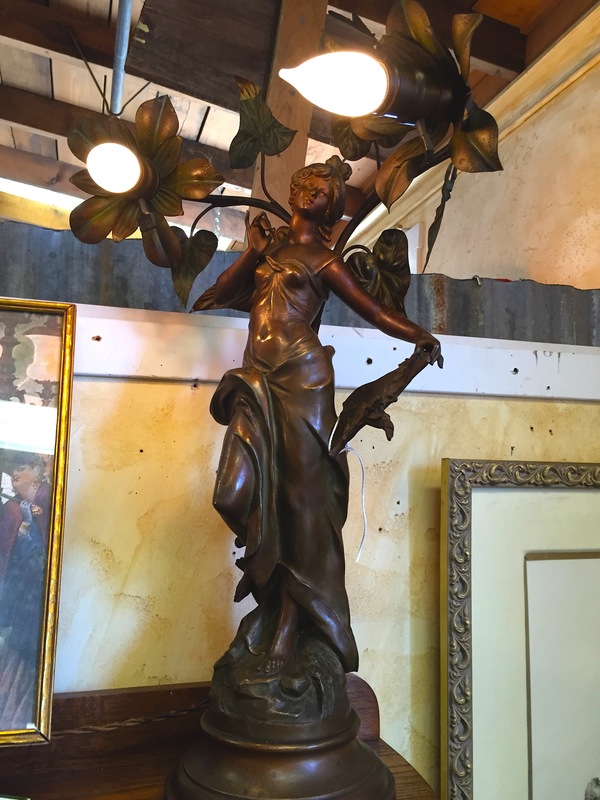 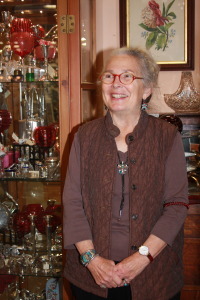 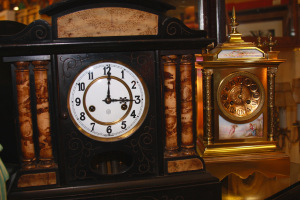 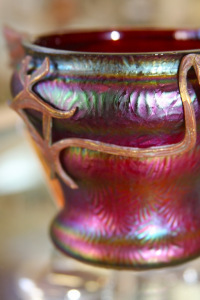 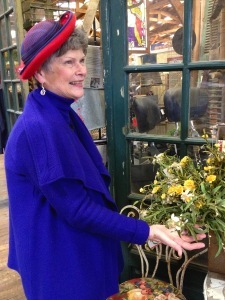 Meet Bobbie who specializes in Roseville, McCoy, fine glass, Victoriana and antique cast iron. Her upstairs spaces may be recognized by the many display cases filled with vintage treasures. Dealer 688 – Upstairs. 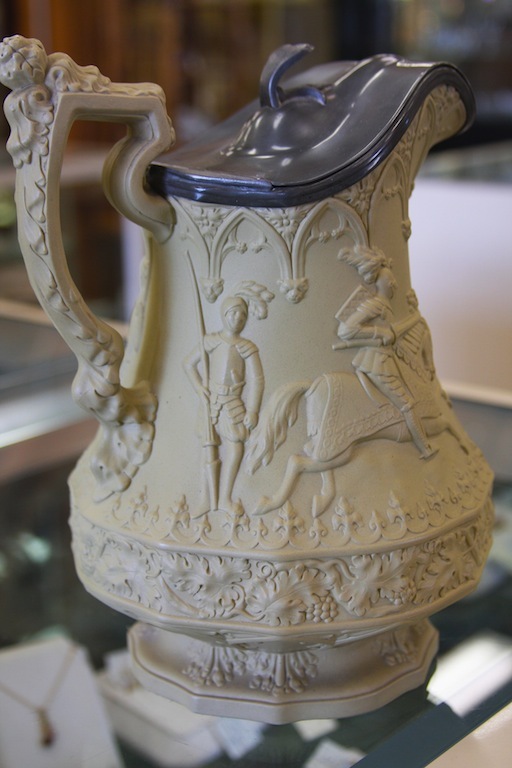 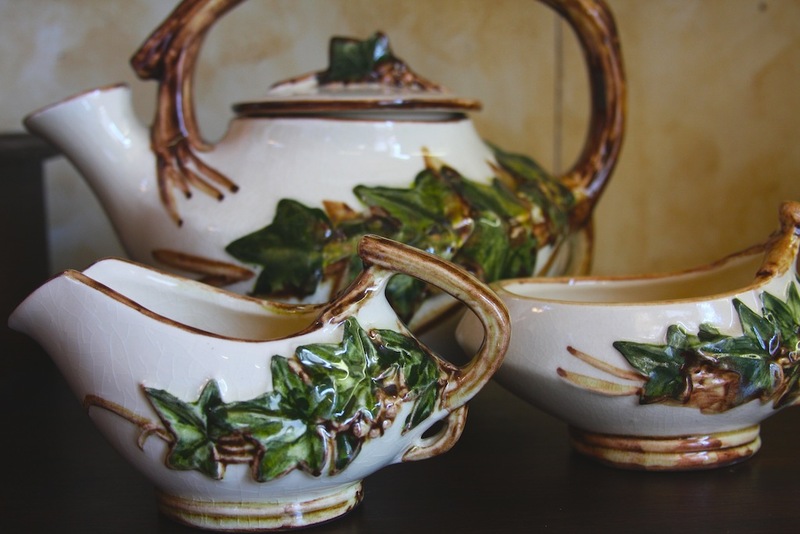 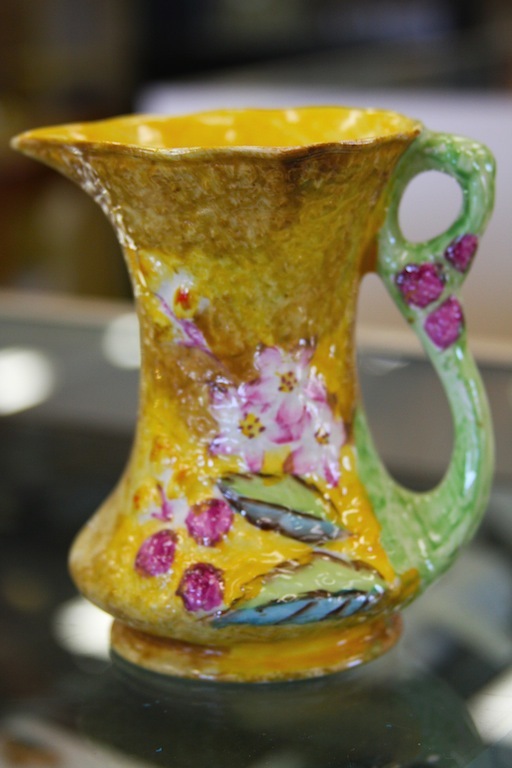 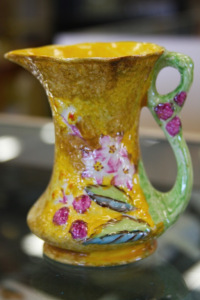 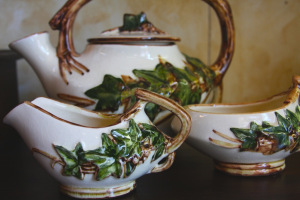 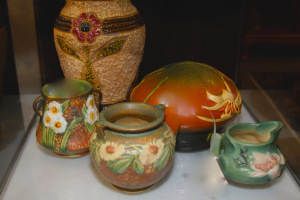 A circa 1840 Parianware Pitcher, rare Majolica, early 1900’s Dresden and Sterling Serving Pieces may be found among jewelry and collectibles in Geri’s case. Dealer 558 – Main Floor Showcases. 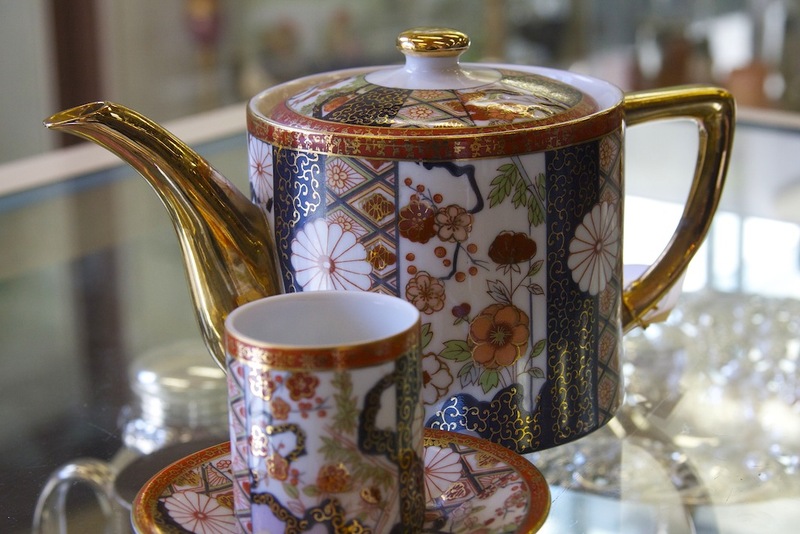 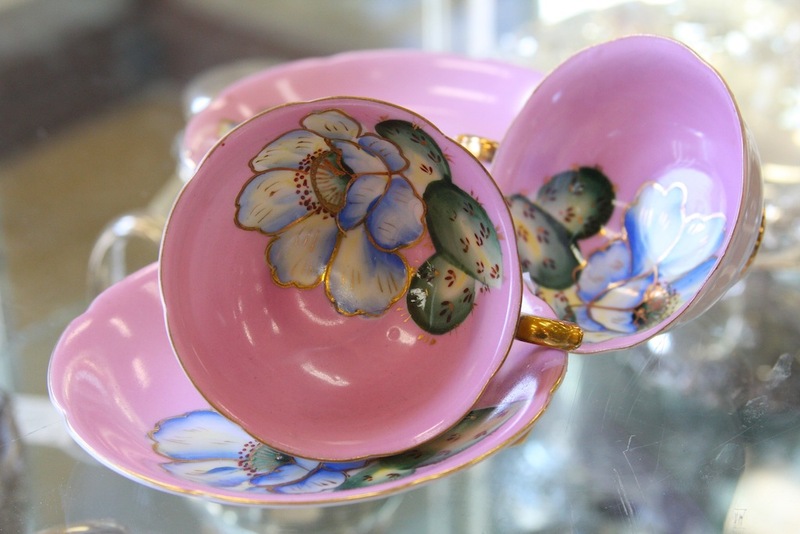 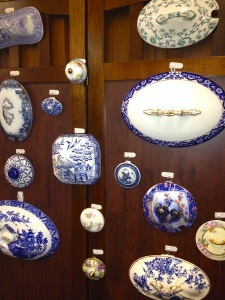 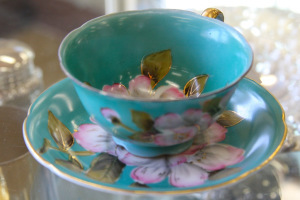 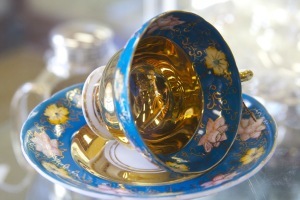 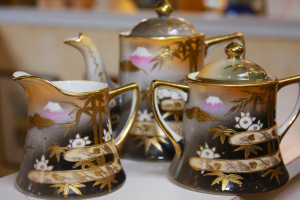 Specializing in delicate cup and saucers, porcelain dinnerware sets and Old Japan Tea Sets by dealer Tomiko. Dealer 686 – Main Floor Showcases.